1. For this first part, you may want the children to work with a partner. Instruct each child to use the chalk to trace around their partner’s shoe. Once each child has traced their partner’s shoe, they may use the scissors to cut out the tracing of their foot. This will be the spider’s body. 2. Model how to fold the 1 x 12 in strips of black construction paper accordion style. 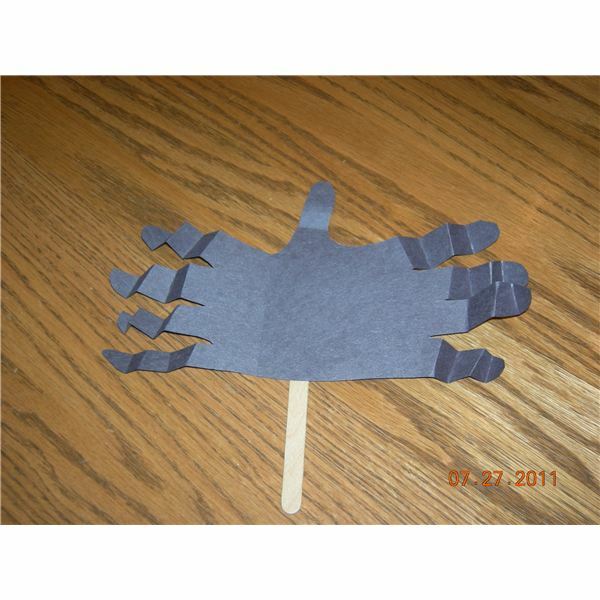 Each child will need eight strips of black paper as these will be the spider’s legs. Ask each child to fold all eight legs accordion style. 3. The legs should then be glued (or stapled) onto the spider’s body. You will want the children to put four legs on each side of the spider’s body. 3. Tape the tongue depressor to the back of the spider. Teacher Tip: Now your class has an instant fun prop to use when singing nursery rhymes such as Itsy Bitsy Spider or Little Miss Muffet. 1. Instruct the children to dip their thumb into the black paint and make one thumbprint on their paper. This will be the body of the spider. 2. The children should now dip their pinky finger into the black paint and make one pinky print at the top of the thumbprint. This will be the head of the spider. Allow this part of the project to dry for a short time before moving to the next step. 3. Ask the children to draw eight spider legs with the black marker. Teacher Tip: You could use black ink pads rather than paint. 1. If you are having children paint white plates with black paint you will want to do this first. Once the plates are dry you may move to the next step. 2. If you are using black plates, then you will want to start with this step. 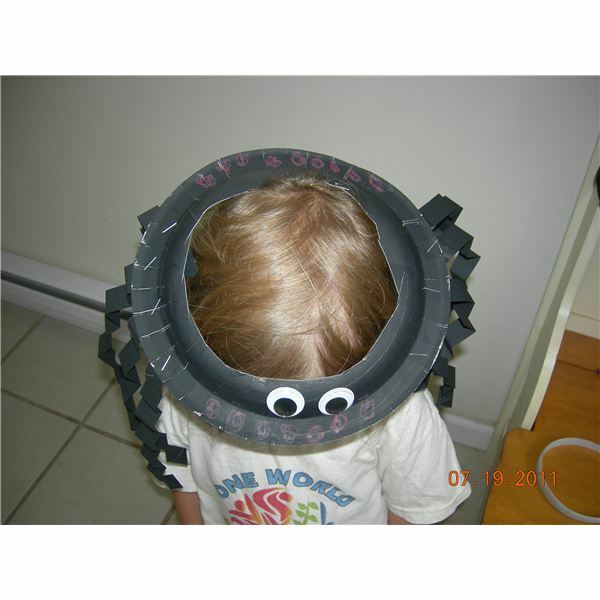 Give the children a pair of googly eyes to glue onto their spider. 3. Show the children how to fold eight 1 x 12 inch black strips of construction paper accordion style. These will be the spider’s legs of course. 4. Have the children glue (or staple) the eight legs onto their spider. 5. 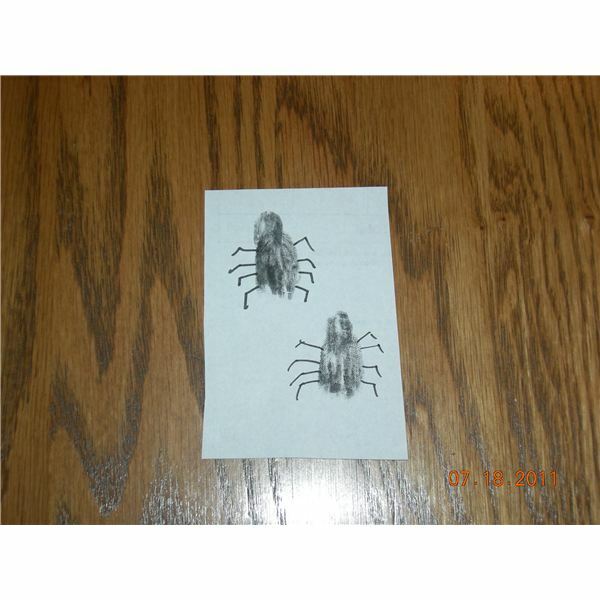 Use the hole punch to make a hole and attach a piece of string to the spiders so you can hang them from the ceiling. 1. Cut the middle section of the plate out to fit each child’s head. 2. Fold the eight legs accordion style and staple four legs to each side of the plate. 3. Glue the googly eyes on the plate. 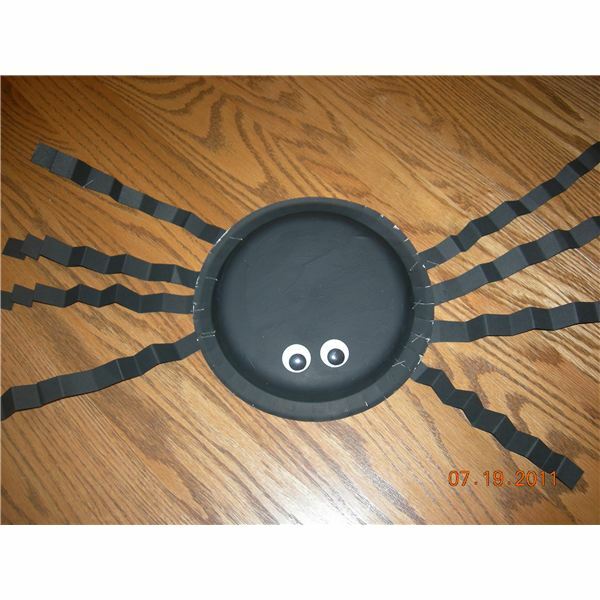 Through the use of common preschool art materials your class will have a variety of options for spider crafts all year long. 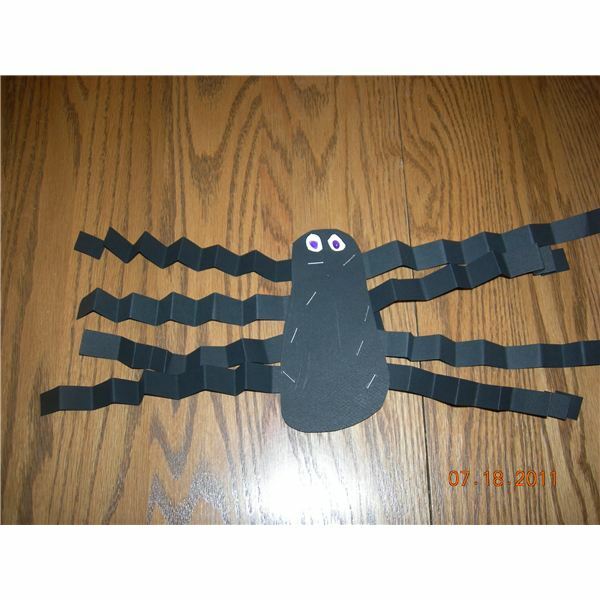 Preschoolers will love taking these keepsake preschool spider crafts home to share with their family members.